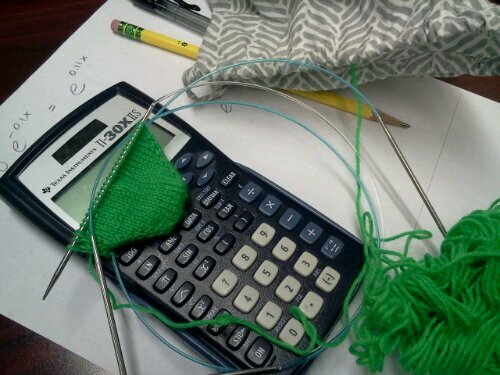 Instead of smoke breaks, I take knit breaks. Much better for health. And, after a while I have a new pair of socks. 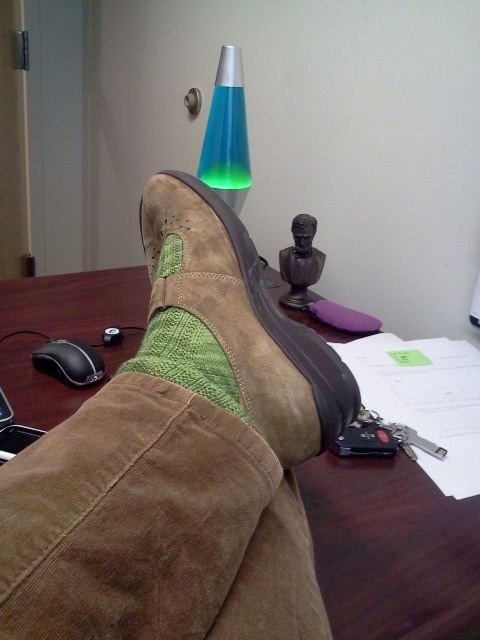 Handknit wool socks with velcro shoes.